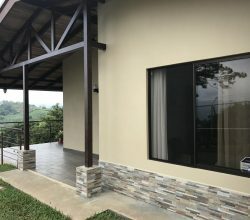 There are many questions first time Buyers in Costa Rica may have and these are some of the most common we experience. This guide of Frequently Asked Questions will help first time Buyers become informed of the Buying Process and different aspects of owning property in Costa Rica. What is the procedure to buy a Costa Rica property? First: After you have found the right property with your Real Estate agent, have them submit an Offer to the Seller or the Seller’s listing agent in order to agree upon the sales price and terms of the deal. Second: Take this Offer to your Costa Rica attorney for them to write up the formal Sale Purchase Agreement or Offer to Purchase Agreement. This document is legally binding, registered, clearly states all conditions necessary for the conveyance of the deed, sets a time frame for Due Diligence, and a date for closing; thus officially taking the property off the market. It is also typical for the Buyer to send a deposit at the time of mutual signing of this agreement. Third: The period of Due Diligence, which is the complete legal research of the property to insure there are no liens, contingencies, legal issues, and that it has absolute fee simple title. If the property is being sold with an existing company, then the research of the company for any legal contingencies will also be completed during Due Diligence. Fourth: Closing or conveyance of the deed occurs before a Notary Public, who will register the property under the new company or owner. Alternatively, if the property is being purchased with an existing company, then the shares of the company are transferred at this time by a Shares Transfer Agreement. In this case the Notary Public will make the corresponding changes to the company’s ownership in the National Registry. Fifth: Declaring the property before the corresponding Municipality for property tax purposes by filling out a simple form and presenting it along with the some other documents either yourself or through your attorney. Yes, however, it is more common and recommended to acquire the property through a corporation in order to separate potential personal liabilities, facilitate the closing procedure, and allow for easier transfer to relatives in case of casualty. The Costa Rica holding company will also make it easier to obtain services such as electricity and cell phones, as well as, opening a bank account. Exception: A foreigner can only own up to 49% of the concession rights for a Concession Property within the Maritime Terrestrial Zone (MTZ). If I live outside of Costa Rice, do I need to be present to sign for the conveyance of the deed at closing? This is not specifically necessary and can be executed through a Power of Attorney for a third party that you trust. This Power of Attorney can be very specific to solely the purchase and signing the closing document of the property in question. Another option that is costly and timely is DHL or FedEx the documents and signing them in front of a licensed Notary Public at your nearest Costa Rica Consulate. 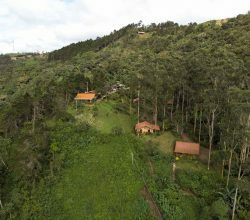 Considering the cost of the shipping and if the nearest Costa Rica Consulate is in another part of the country; then it can be more affordable to fly down and sign for yourself. 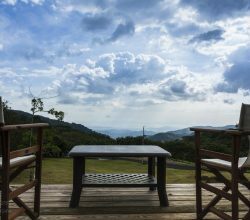 What are the taxes, legal fees, and closing expenses included in the purchase of property in Costa Rica? Every property acquisition in Costa Rica has to pay the following National Registry Fees: Registry: 5 colones per every 1,000 colones of purchase price; Municipal: 2 colones per every 1,000 colones of purchase price; Fiscal: a maximum of 625 colones; Bar Association: a maximum of 10,000 colones; Archive: 20 colones. The Transfer Tax of 1.5% must be paid to the National Registry if the property is transferred from one owner to another. If a property is sold with an existing company and only the shares of the company are transferred, then this Transfer Tax does not apply. These costs are often split by the Buyer and the Seller. 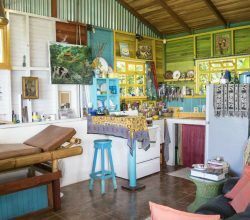 Legal Fees for the purchase of property in Costa Rica are 1% to 2% depending on the sales price, complexity of the transaction, and the allotted time spent by the attorney on the deal. Additional legal costs may include the formation of a Costa Rica holding company of around $500 to $600 USD; drafting of any supplementary contracts or Seller Financing Agreements and registering of such contracts; and translation of contracts into your native language. The Buyer and Seller typically pat for the separate attorneys. If one attorney is used by both Buyer and Seller, then some for these legal fees can be split. However, the Buyer is usually solely responsible for starting a new company, any contracts for Seller Financing (if needed) and registration of those contracts, and translations if the Seller is Spanish speaking. Other Fees may include topographer fees if you choose to re-mark the boundaries of the property; and any extra investigation you may choose to execute such as; soil tests. These items are typically paid by the Buyer. A total property transaction costs about 4% of the property value and this can vary more depending on the amount of Due Diligence needed and less if the property is being sold with a current company. How can I transfer funds for a property acquisition from my home country? This can be accomplished by international wire transfer and the funds can be received by a recognized escrow company dedicated to protect funds and provide escrow services in Costa Rica. Direct wire transfer from the Buyer to the Seller can be done in certain cases, but should be done almost simultaneously as closing signatures; as many Sellers may not feel comfortable signing the closing documents until receiving a bank confirmation that the wire transfer has been completed. 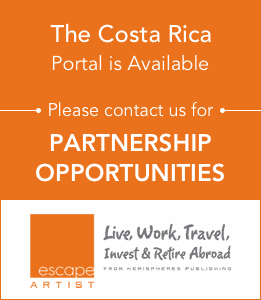 Where and how are properties registered in Costa Rica? All titled properties are registered in the “Registro Naccional” or National Registry located in Zapote, San Jose, Costa Rica. There are satellite offices of the “Registro” around the country in larger cities. This is a public record that anyone can research the owner of a property and any leans, loans, transformations, or damages against the said property. In order to transfer a registered property the recorded owner must appear before a Notary Public in order to grant a public conveyance of the property, which then must be presented and recorded in the National Registry. All registered properties have a folio real number (i.e. 6-123456-000) of which the first number represents the province where it is located, the second refers to the specific folio property number, and the third to the property rights as in number of owners (000 means only one owner). Exceptions: (1) Concession property located in the Maritime Terrestrial Zone (MTZ); which is the 200 meters from the median high tide mark on both Pacific and Caribbean coasts. The first 50 meters is public zone and free for the public to enjoy, where as the remaining 150 meters is the restricted zone where concession property can be granted by the local municipality. Although there can be titled property with the MTZ, it is very rare and may have been titled since before the MTZ was put in place; but should be carefully investigated by your Costa Rica attorney to insure the validity and legality of the title. Concession property is registered in different section of the National Registry called the Concession Registry and has an independent registration number. Concession property is typically used for tourism and if this type of property is a consideration, then it is highly recommended your attorney review the concession and feasibility of your plans for the property before pursuing it further. 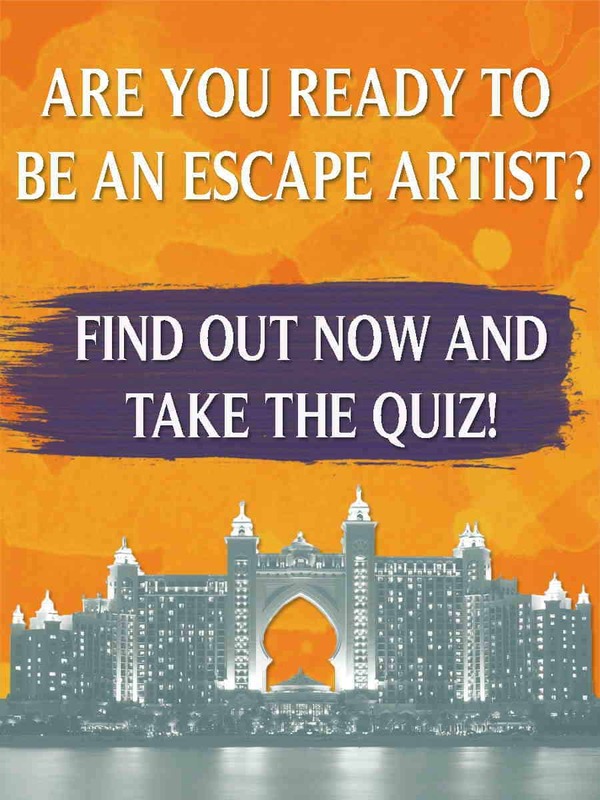 (2) There are also Possession Properties, which are untitled and are not registered in the National Registry. These properties can obtain title through a lengthy process and if they comply with certain requirements; one of which is a minimum possession of 10 years. These types of properties are the most risky and professional legal counsel is needed in this situation to advise if receiving title is possible before even considering such a property. 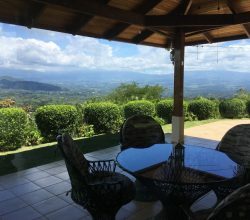 How can I check the status of a property in Costa Rica? Go to the following website of the National Registry: http://www.rnpdigital.com/index.htm where anyone can check the status of a property. Go to “Sistema de Certificaciones y Consultas Gratuitas” on the top left side of the webpage. A new tab will open and then first time users will have to go to “Registrarse por Primera Vez” in the top left hand portion of the page. After filling out the form you will receive an email and click on the link and enter your user email and password on the left hand side under “Ingreso para Usuarios Registrados”. Then go to “Consultas Gratuitas” on the left hand side and next you will see a list of all the types of “Consultas” you can do for “Bienes Immuebles” (Real Estate). To obtain a certified property report click on “Consulta por Numera de Finca”. After this, you will have to enter the number of the property’s province or “Provincia” (first number of the Folio Real number on the Plano), the folio real number of the property (middle numbers of the Folio Real number on the plano), and the number of the property right “dereccho” (which is the last 3 digits of the Folio Real number on the Plano). Once you enter the said information click on the “Consultar” (consult) button. A certificate with all the information of the property will appear on the screen. How much are property taxes and other taxes associated with owning property in Costa Rica? Property Taxes are 0.25% of the registered property value and are paid to the local Municipality for where the property is located. These taxes are paid every 3 months or can be paid in full for the year in advance. For example a $100,000 USD property pays $250 USD per year in Property Tax. Corporation Tax is a fairly new tax passed in 2012 and is a fixed fee of $180 USD for inactive corporations and $360 USD for active corporations. Most properties are held be an inactive corporation and this tax is paid to the “Ministerio de Hacienda”. Luxury Tax is tax levied against luxury homes valued over approximately $200,000 USD and is also paid to the “Ministerio de Hacienda”. This tax is around $2,500 and can be more depending on the registered value of the home.